Your choice! 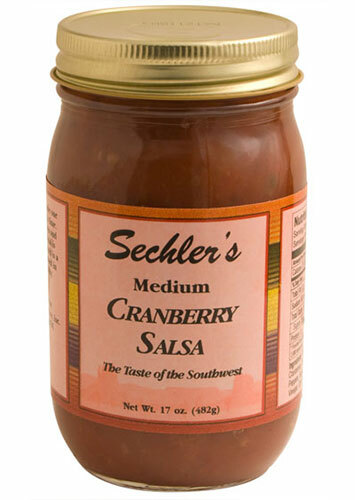 You can choose from any of our varieties of Sechler's Salsa. From Anonymous of selma, North Carolina on 3/26/2018 . Raspberry Salsa is excellent!! Can't wait to try the others I ordered!! From Jim of St. Clair Shores, Michigan on 1/8/2018 . All of the Sechler products are awesome. From Kevin Timmerman of San Jose, California on 12/26/2016 . From Donna Hemmig of Plymouth, Indiana on 12/29/2015 . These salsa products are all delicious, like all Sechler's products that I have tried! From TERRI R SANISLO of Chesterfield, Virginia on 12/27/2014 . A friend of mine chose these four flavors to try, and she loves every one of them!